A set of two salt and pepper shakers in white with gold tops and an abstract flower decor. 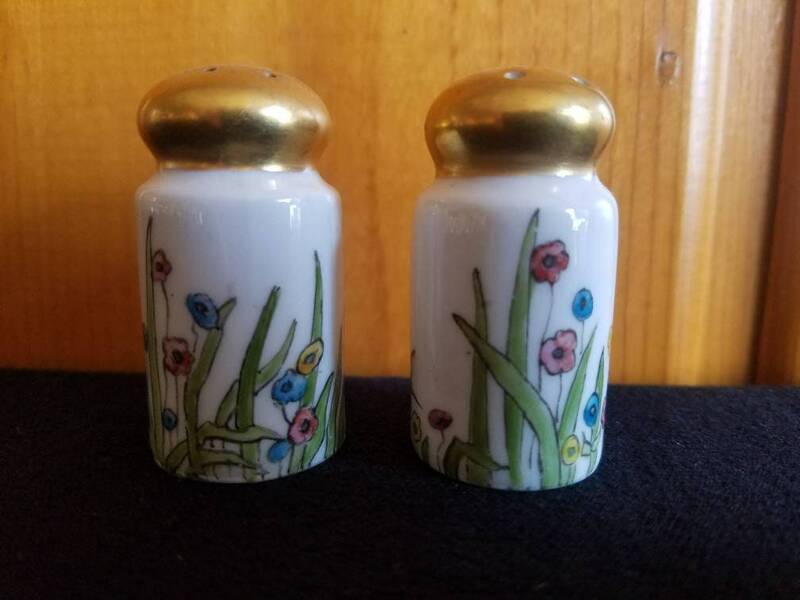 These vintage floral shakers would be a beautiful addition to your collection. They would fit many decors like farm house,victorian,garden them or shabby chic.